These are the steps to install TWRP Recovery on Asus Nexus 7 2013 LTE models using Fastboot. You can only follow this guide for installing the TWRP image if you have the 2013 LTE model of the Google Asus Nexus 7 tablet. Installing it on a different model will likely brick the device. You must have a Windows computer to follow this guide — most version of Windows will be compatible. 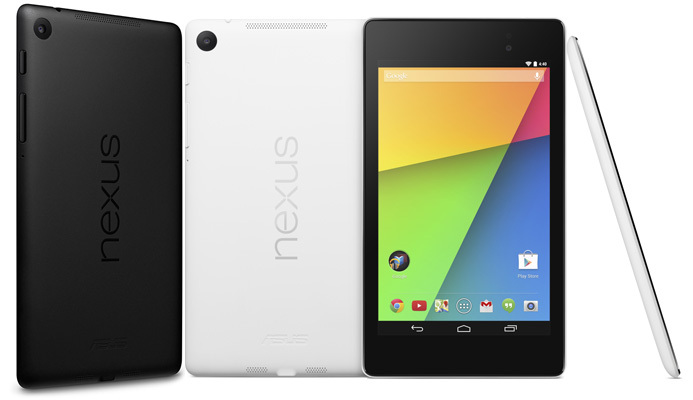 You do not need the Asus Nexus 7 rooted to follow this guide. Moreover, you can install this custom recovery on the Asus Nexus 7 tablet running any firmware. Download the ADB and Fastboot drivers , as well as the Asus drivers and install them on your computer before you start the guide. Enable the Developer Options menu on your Nexus 7 2013 device by tapping on the Menu > Settings > About Device > Build Number 7 times. Enable the USB Debugging Mode on the Nexus 7 by tapping on the Menu > Settings > Developer Options > USB Debugging Mode. You are voiding the warranty of your Asus Nexus 7 tablet by installing a custom recovery on the device. Any kind of customizing the tablet will usually void the warranty, including any unlocking of the bootloader and rooting the device. Download the TWRP Recovery  file and have it on the desktop of the computer. Learn how to set up ADB on your Windows computer  with our guide if you haven’t got it done already. Drag the TWRP Recovery file over to the same folder as your ADB. Connect the Asus Nexus 7 tablet to the computer with the USB cable. Within the ADB folder, hold the Shift key and right-click the mouse to bring up a new menu where you need to select the option to open a new command window here. The Asus Nexus 7 tablet will now boot up in the bootloader mode and be ready for the next command. Wait for the custom recovery to be installed on the Nexus 7 tablet before issuing the final command. Sometimes Android devices will replace your custom recovery with the stock recovery again during the first boot. To prevent this from happening, use the Google search engine to find the correct key combination to enter the recovery mode on your device. Now hold that correct key combination after typing the “fastboot reboot” command and it will boot into the TWRP Recovery. The TWRP Recovery will now patch itself and replace your stock recovery so it is always bootable on your device until the day you choose to wipe it and replace it with a stock recovery.